We are very pleased to announce that the OER17 full interactive programme is now available. 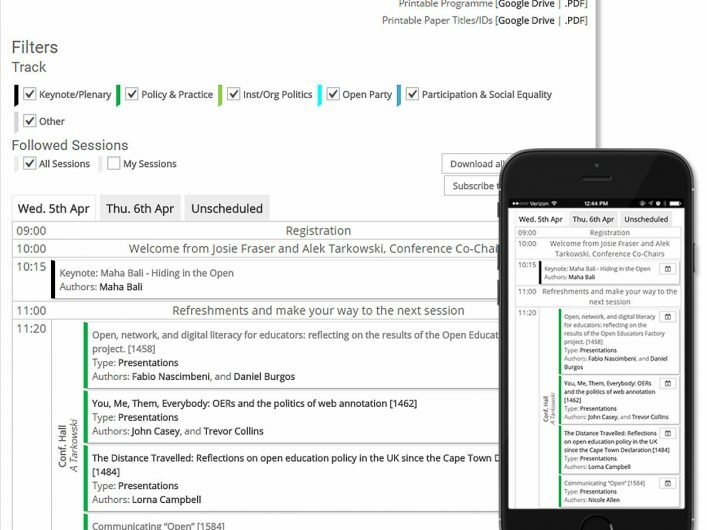 This includes all the session details and it makes it much easier to see all the fantastic keynotes, presentations, workshops and panel sessions taking place during the two days of OER17. If you have not already booked your conference place we hope the impressive lineup and choice of sessions is the final incentive you need to register. If you are already booked to attend the conference, the detailed programme is also a way for you to start planning the sessions you’d like to attend creating your own personalised agenda. Each session you select has its own dedicated page where you can also start interacting with other delegates and presenters. For presenters this is also a useful feature, as it will help them engage with the audience and share resources, before or after the session. 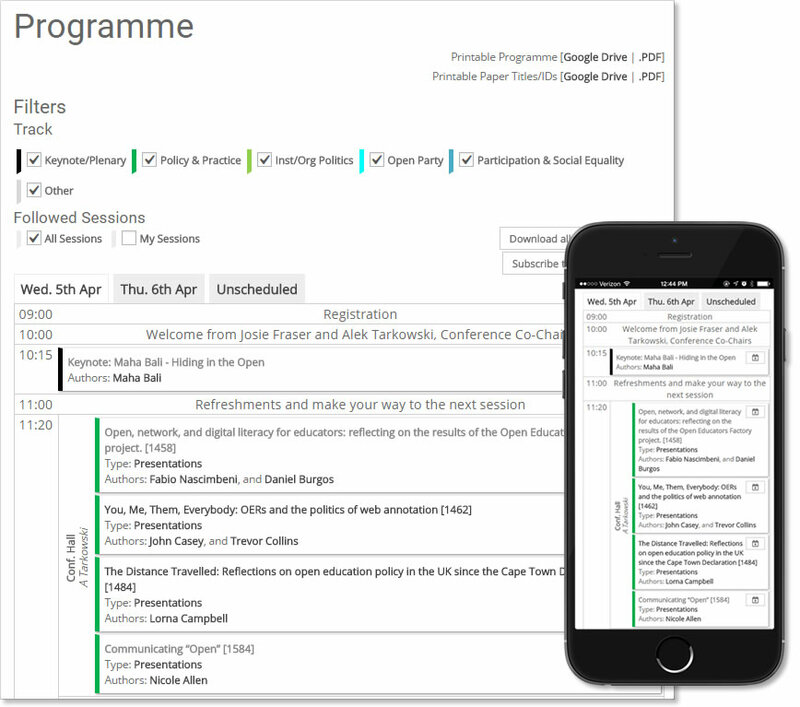 To make full use of the interactive programme, you will need to login (top of the page at https://oer17.oerconf.org/). If you are already registered to attend the conference, use your registration username and password. If you aren’t registered for the conference or not already a member of ALT you can find out more about registering on our help pages. 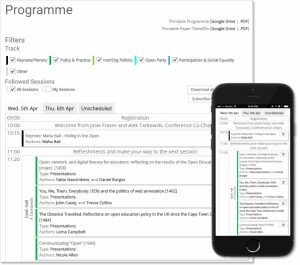 We hope you enjoy using the interactive programme to explore the conference content and look forward to welcoming you to the Resource London, from 5 to 6 April for two excellent days sharing, learning and debating everything OER at the Politics of Open #OER17.